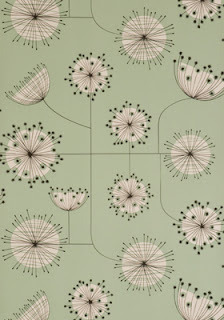 Miss Print's wallpaper features spindly, spiky (but not unfriendly) graphics inspired by mid-century and Scandinavian designs. 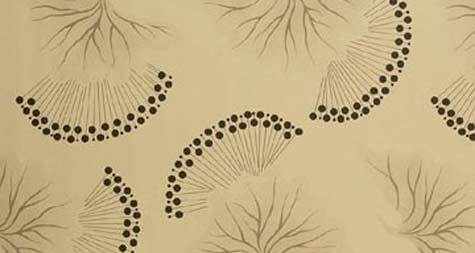 Their wallpaper is PEFC certified - the paper is derived from sustainable sources - and organic, non-toxic pigment inks are used which are free of heavy metals and classed as non-carcinogenic. All v important if you are going to be breathing in wallpaper fumes all day, as it is (to quote that well known mag - but do they use that strap line anymore?) 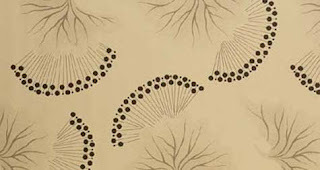 the stuff that surrounds you. 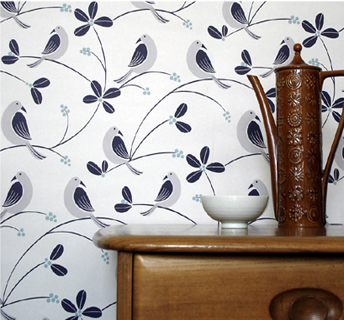 Miss Print are based in East London; their wallpapers are printed in the UK. 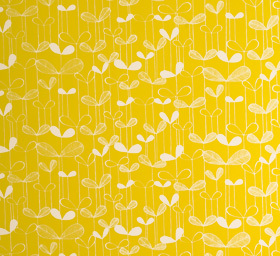 I also have a great fondness for Mibo, designed by Madeleine Rogers in Hove and made in the UK - Clacket Lane (great name, and reason alone to cover your walls with it) has a clean modern design of leaves and birds. Neisha Crosland's Anemone wallpaper - surely a classic?